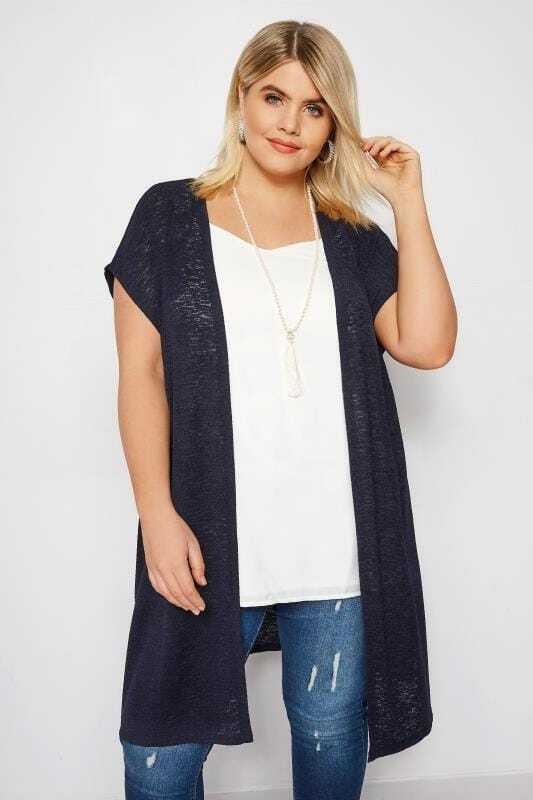 Work your way into the new season with our collection of plus size cardigans and cover-ups. Available in UK sizes 16 to 36, this capsule ranges from lightweight to warmer options. Casual dressing is made simple with jersey cardigans and knitted wraps, while your evening wardrobe gets an update with embroidered kimonos and lacy shrugs. Whether you’re dressing up or down, shop new-season styles below. With wedding season just around the corner, we are all in need of a trusty cover-up that provides comfort and, of course, style. 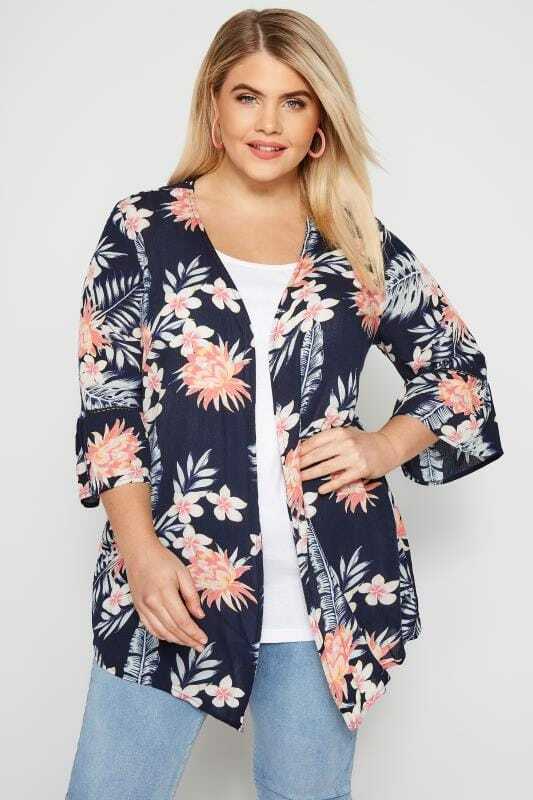 With plus size crepe boleros offering a more structured silhouette and floral lace plus size shrugs that drape effortlessly over the shoulders with a waterfall front, every one of our styles has been designed to flatter your figure and keep you looking and feeling confident. Embrace office chic with one of our plus size cover-ups. From new-season crepe duster jackets to comfortable plus size long cardigans in flattering edge-to-edge and waterfall styles, our smart-casual line-up is elevated with fashion forward accents from elegant lace detailing to contemporary flute sleeves that will keep you on-trend. 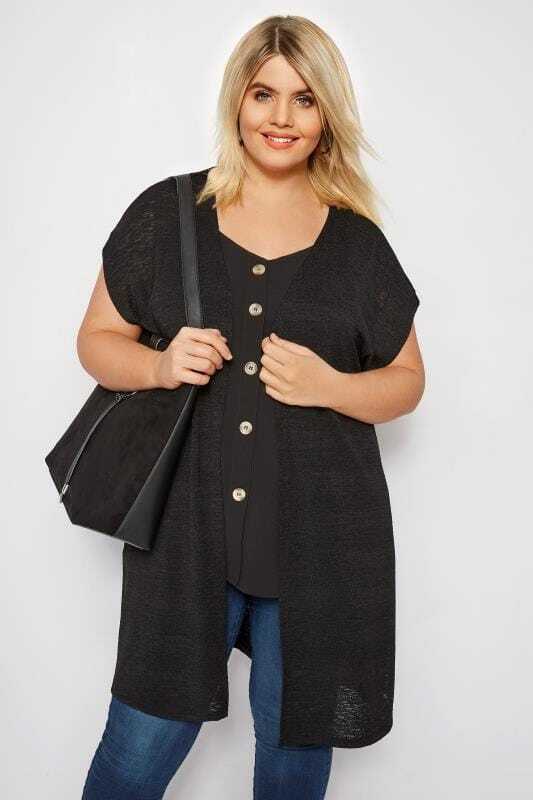 Looking for a staple plus size cardigan you can turn to season-after-season? Our stylish line-up is filled with classic options featuring modern twists that will take your wardrobe up a gear, from casual jersey options in shape flattering waterfall styles to relaxed boyfriend cardigans and longline knitted cardigans with side splits for comfort and easy movement.